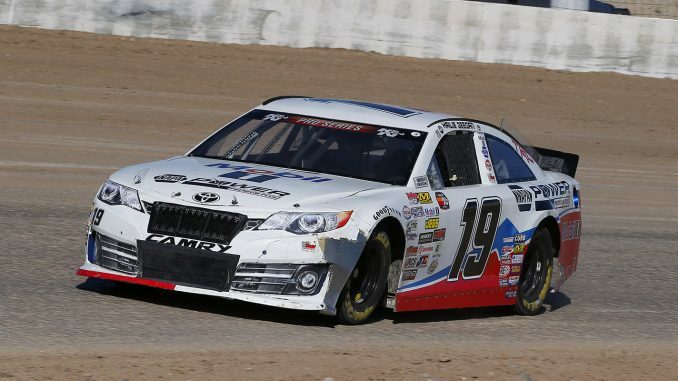 Hailie Deegan made NASCAR history Thursday night as the first woman to qualify on pole position for a NASCAR K&N West Series race. She finished runner-up to Sheldon Creed in the race at the Las Vegas Motor Speedway Dirt Track. And while the historical moment is promising, the 17-year old Californian said she is encouraged but not satisfied. “Coming back in here everyone was like, ‘Good job, a top-five.’ And I’m like top-five, what are you talking about?’’ Deegan said Friday at Las Vegas Motor Speedway. “Everyone is saying, ‘You finished second, highest finishing place for a girl.’ And I’m like, no, I qualified on pole, this is actually back a position. It’s those things. First girl to qualify on pole but I don’t want to be the best girl, I want to be the best driver. The runner-up finish was Deegan’s second of the season, equaling her showing at Douglas County Speedway (Oregon.) earlier this season. She has four top-fives and nine top-10s in 11 races this season.